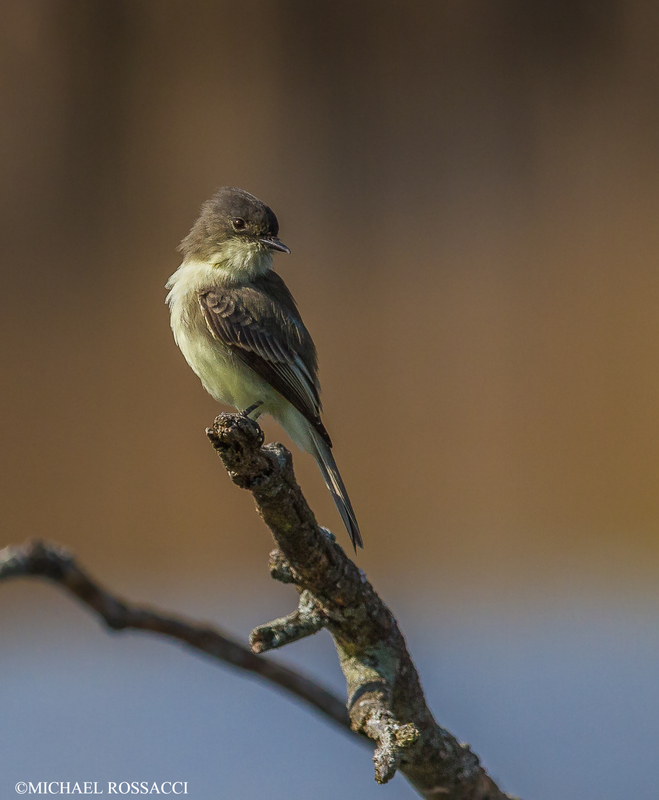 An Eastern Phoebe, perched on a stump, takes a break from catching flies on the water at Horn Pond, Woburn, MA. This photograph was taken in mid October under sunny skies. The soft blue tint at the bottom of the image is a bit of out-of-focus blue sky reflecting off the water behind the bird. Camera gear used: Canon 7D, 300 mm lens, and a 1.4x tele-extender.